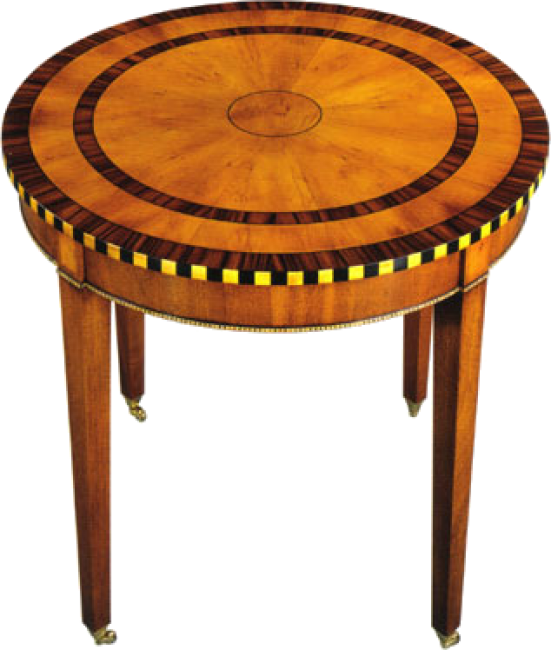 Intricately inlaid side table with alternating Ebony and Satinwood on the edge. Rosewood and Ebony bands inlaid on the top with Satinwood and Ebony inlays on the apron. Square tapered legs terminating in solid brass casters.